From Our Best Selling Range Of Pens, this Ever popular white coloured barrel stylus ballpen Has a range of coloured rubberised grips. The stylus is compatible with both capacitive and resistive touch screen phone and tablets. 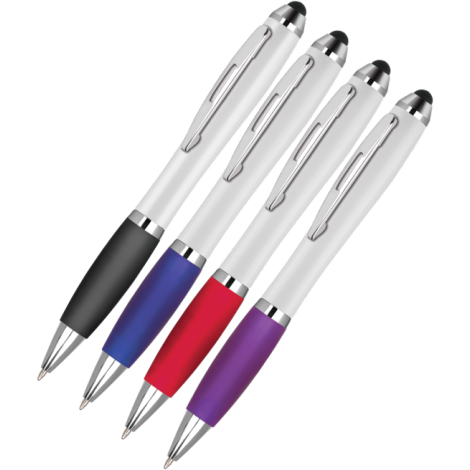 It offers a sculptured, white colour body, chrome trim at a very low price point, making it the ideal promotional advertising pen suitable for all campaigns.